I’m definitely not a health fanatic (wish I was but sadly not), but this amazing smoothie was passed on to me about four years ago and I LOVE it! 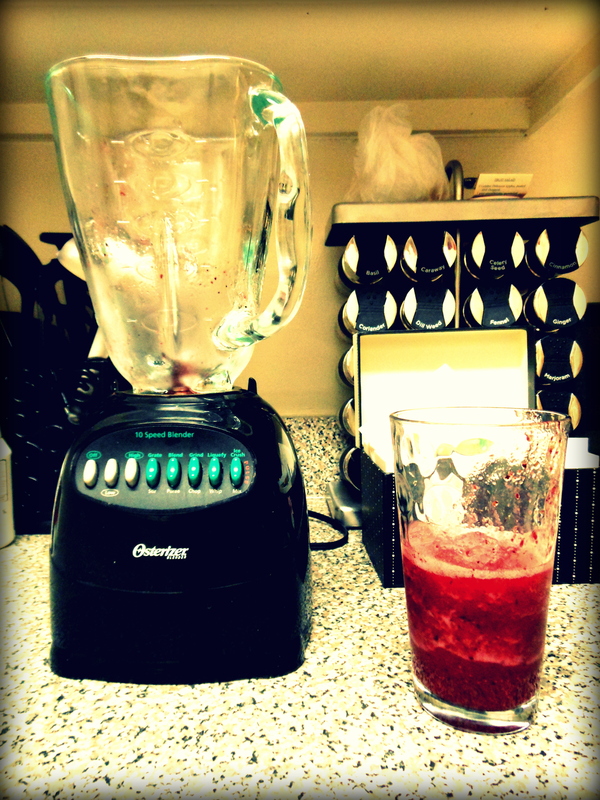 While others are buying amazing juicers, I simply can’t afford it so I’ll stick to using my blender in the mean time. This recipe is very simple and you can do a couple different variations depending on your taste buds. Originally, I used to do just the strawberries, blueberries, raspberries and apple juice. I found that putting the raspberries in the smoothie was too gritty from the seeds, so now I exclude that, but feel free if you’d like to try it. Tonight I actually tried a new spin on it, doing strawberries, blueberries, grapes, apple juice, and cranberry juice. It turned out much more flavorful in my opinion! I used the grapes because I had them on hand and was trying to get rid of them, but I definitely always have Cranberry juice on hand (I use a cranberry/pomegranate blend) and plan on using the juice combo in the future. When you put in your fruits, pour juice until it reaches half of the fruit or 3/4 of the way if you’d like to use cranberry juice as well. No matter what type of juice you try, fill it until it reaches almost to the top of your fruit and blend. I’ll note here that it’s better to use 100% juice instead of a cocktail juice. Cocktail juices use more sugars and don’t use 100% juice in their mix. 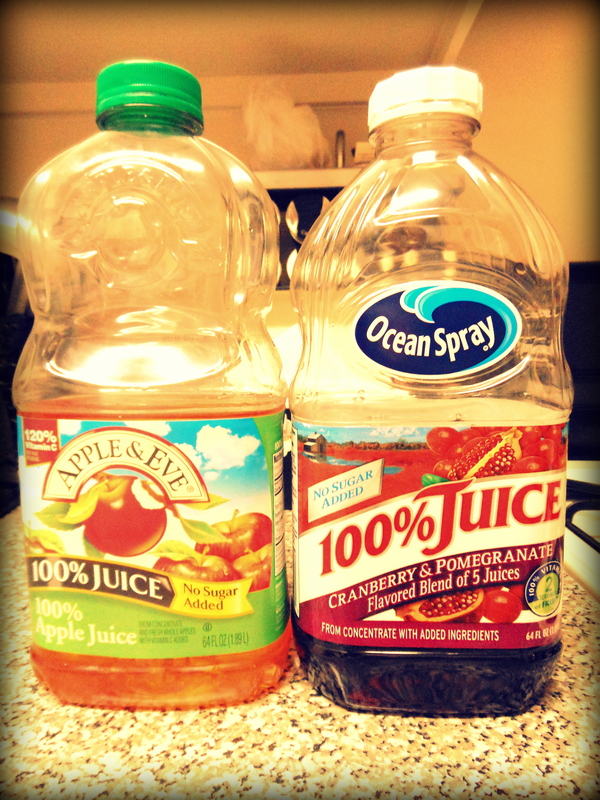 I read that 4 oz of 100% apple juice is a fruit serving, so you’ll be doing something extra good for your body!